Look up! Have fun with printed ceiling tiles! If people find themselves looking up at the ceiling in your business, custom printed ceiling tiles are a unique way to have some fun. 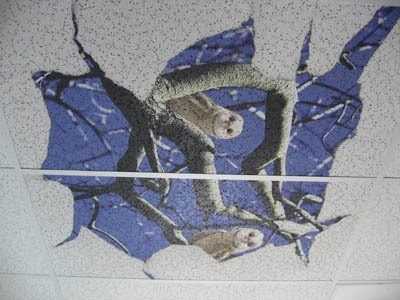 We print on acoustic ceiling tiles in full color with our flatbed printer, and the results are striking! Places like dental and medical offices, hair salons and spas can use custom printed ceiling tiles to advertise other services, create the right mood, or just make things more interesting. You can convert a large area of white space into something much more colorful and creative. We'll print a photo or digital art sized to fit your space. 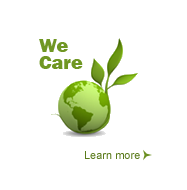 Call us to discuss your project. Pricing is $49 for a standard 2x4ft ceiling tile, with a minimum order of two pieces. We can cut the tiles in two if you have a ceiling that uses 2x2' tiles. Send your digital file and we'll get your custom printed ceiling tiles done!